I was in a Graston lecture last weekend when a friend named Dan who is facing knee surgery texted me these probing questions: “What is Graston Technique? Have you had it done? Does it Work? How does it work? How is it different from things like Foam Rolling?” These are pretty good questions and deserve a better answer than my somewhat terse response: “Foam rolling is great, but good luck getting a roll of foam between your femoral condyle and your torn meniscus.” As a favor to you Dan I’ll expand on that answer here. I have had ankle and wrist injuries treated with Graston and what impressed me was the immediate increased range of motion. I fractured my right scaphoid 6 years ago and have a lot of scar tissue and mobility issues from that wrist surgery. My wrist extension is painful and limited during some of my favorite crossfit movements such as hand stand push ups and cleans. Immediately after treatment my wrist range of motion in extension is about 15 degrees improved and those movements are no longer painful. Graston instruments allow a clinician to feel adhesions in muscles, tendons, ligaments, and fascia. These adhesions form in the tissues over time in accommodation to postural strains and in response to healed injuries. Those restrictions are then smoothed and “ironed” out like the wrinkles out of a shirt allowing the tissues to glide smoothly over one another as they did before injury. The research supporting the technique is a small but promising body of work. The Graston Technique was founded in 1994 but instrument assisted soft tissue mobilization has been used for the past 10,000 years in the form of gua-sha in Eastern Asia. When a soft tissue (any tissue that is not bone) is injured it goes through 3 phases of repair- Inflammation, proliferation, and remodeling. These phases leave us with what is equivalent to a physiologic patch job that conforms to normalized tissue only with normal physiological use of the area. The new tissues align along planes of tension. This process is known as tissue remodeling. When an injury or surgery is followed by a period of immobilization or compensatory movement, the result is long-term fascial adhesions that limit range of motion and cause increased tension in the area. Not all injuries require the sort of therapy that Graston treatment provides. The areas that show up on an initial scan of the area are those that fail to re-align optimally. Foam rolling is an excellent self-care practice to apply pressure to sore and tight muscles and speed the recovery process from hard work outs. ART applies self guided friction to adhesed muscles much as Graston does but it is limited to the tissues that are accessible with the thumbs. What sets this technique apart from therapies such as foam rolling and manual techniques such as ART is the ability to detect subtle changes in tissues and apply friction on those otherwise inaccessible tissues. GT therapy is then followed with specific ranges of motion that guide the healing process into optimal remodeling. The instruments have specialized design features which accommodate the shoulders, elbows, wrists, knees and ankles which make them ideal post-injury and post-surgical tools. This is a question that I had myself. A controlled inflammatory response is initiated by the treatment. This is the same healing principal behind homeopathy and even immunizations. The more severe your adhesions, the more inflammatory the treatment. It can leave you red and sometimes bruised. When that is the case, it indicates that you had a lot of work that needed done. Sometimes the worse it looks, the better the results. The reason why one adhesion is not simply replaced by another is because the healing process is guided for optimal healing with ranges of motion and post-treatment icing. There are over 9,000 Physical Therapists, Chiropractors, and Occupational Therapists in the United States who practice Graston Technique. 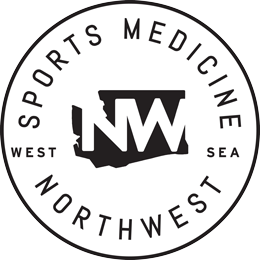 I am one of them, but if you are not in the Seattle area, this a is a link to find a clinician in your vicinity. I'm glad to hear that your gait improved after a single treatment, but lets face it Dan you are essentially 210 pounds of adhesion. I should get back to work on you soon. I've had Graston twice: tennis elbow (medial epicondyle) and hamstring. Worked beautifully in both cases but there is a fair amount of discomfort after the first couple treatments. Worth every bit. Now I've got biceps tendonitis (so says my Dr) and next week I'm going to get Graston after Rest/Naproxen/Heat did not get the job done. I'll try to update this with the results in a few weeks but I'm looking forward to getting better. Another thought was that I had to push for Graston as my doc (a good one) did not believe it would work for BT. We'll see but there's online research results that show BT is eminently treatable. The fact that Rest/Naproxen/Heat is the alternative is reason enough to attempt a trial of GT therapy. The biceps tendon is accessible superficially and should respond as well as any other tissue to GT therapy. Good luck with your treatment. I'd like to know how it turns out.